Kamala Harris has made a career of consistently running away from her record. 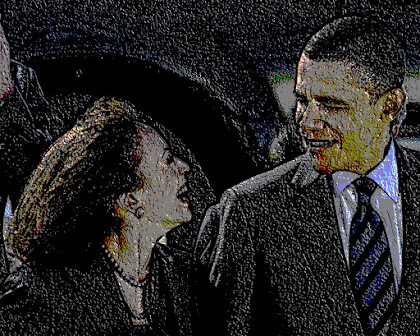 • As San Francisco DA and as California AG, Harris “championed” a law that put the parents of truant kids in jail. But as a candidate for president, she has been caught trying to cover up her record on truancy. • As San Francisco DA, Harris called decriminalizing prostitution “completely ridiculous.” But earlier this year, Kamala made a complete reversal and said she supports decriminalizing prostitution. • As San Francisco DA, Harris made INCREASING bail costs a priority. Now she wants to reform bail. • As San Francisco DA, Harris supported a policy that turned illegal immigrant minors over to ICE. But now Harris wants to abolish ICE. • As California AG, Harris jailed thousands of Californians on marijuana charges and was against legalizing marijuana, but now she wants to legalize it. This brings us to Monday night when Harris said she was open to rapists, terrorists, and murderers voting from prison. Less than 24 hours later, the former prosecutor flip-flopped. It’s ridiculous that it took Harris any time at all to figure out her position on such a radical idea. Editor's Note: I'm still struggling with picking my favorite Democrat policy: open borders, reparations, the Green New Deal, "universal health care" (in which You'll get to Keep your Doctor, Part Deux), abolishing ICE, and -- of course -- forgiving all student loan debt. Never mind that we, as a country, are so brokety-broke that Medicare is going under in seven years. But Democrats in Congress are focused on impeachment. Democrats running for President are all trying to outdo each other with "giveaways" (they are giving things away; you will be on the hook). A Hero Amongst the Liars: R. Emmett Tyrrell, Jr.
"The dossier itself was not intended to be published"? 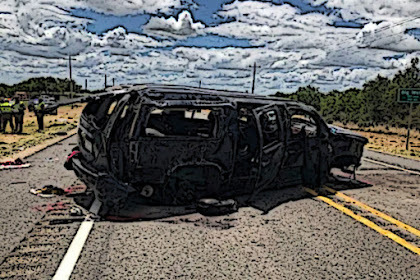 From late 2015 until April 2019, the media, the Left, and the Obama administrative state hierarchy warned us nonstop that candidate, president-elect, and inaugurated President Trump “colluded” with Russia to defeat Hillary Clinton, to assemble a suspect cabinet, and to rule in treasonous fashion in the interests of Vladimir Putin. The former head of the CIA and the director of national intelligence were birthed as permanent analysts at MSNBC and CNN to sermonize—with wink-and-nod assurances that their past billets and security clearances substantiated their authority—that the treasonous Trump would likely be impeached, indicted, or quit. A mostly progressive team of lawyers, with an unlimited budget, no restrictions on time, and with enormous legal powers found all of that to be a lie. 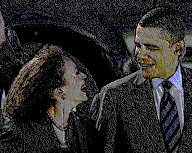 Unable to find Trump likely guilty of either collusion or obstruction of investigating the non-crime of collusion, they instead salted their report with innuendo and rumor of what the enraged Trump was supposedly thinking about, raging about, and talking about among his closest confidants, including the insurrectionary statement of his press secretary who allegedly sinned by exaggerating the extent of FBI rank and file unhappiness over the firing of James Comey. All that was a long, slow distraction over real culpability on the part of a number of our supposed best and brightest. And here are some of their most absurd moments from the Orwellian hunt for collusion. 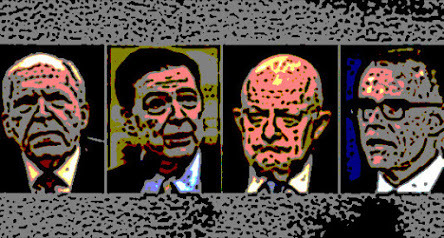 Later Clapper admitted that he himself had been one of the sources—what James Comey called a “news hook”—of the very “extremely corrosive and damaging” leaks that he had so damned, through passing on information to CNN’s Jake Tapper, et al., Clapper mysteriously was later hired by CNN as a national security analyst. Deputy Attorney General Rod Rosenstein replaced Attorney General Jeff Sessions on all oversight of matters relating to “Russian collusion” on the theory that, unlike Sessions, the Obama-era Justice Department official was nonpartisan, not conflicted, and thus could decide whether to appoint a special counsel, and, if so, whom. Yet Rosenstein himself had himself signed one of the FISA warrant extensions that continued surveillance of former Trump campaign Carter Page, a fact of some importance to Special Counsel Robert Mueller’s subsequent investigation. Rosenstein, in fact, appointed Mueller, who was a longtime associate who had worked with him on prior investigations. Rosenstein had also drafted the memo justifying Trump’s firing of FBI Director James Comey, which directly led to Mueller’s appointment. Rosenstein would then meet with Comey’s replacement, acting FBI Director Andrew McCabe, allegedly, to discuss the possibility of removing the elected President Trump on grounds under the 25th Amendment that he was mentally unfit. Rosenstein’s angst, apparently, arose because Trump had taken Rosenstein’s own advice to fire Comey, which had in turn prompted McCabe to launch new investigations, which Rosenstein, again apparently, then sort of joined—in theory then to investigate in circular fashion himself? Fired FBI Director James Comey wrote a book called A Higher Loyalty, with the theme that Comey had always put allegiance to “the Truth” over all careerist and partisan concerns. Yet Comey signed off on a FISA warrant request without apprising the court that the chief evidence for such a writ was paid for by losing presidential candidate Hillary Clinton. Comey’s own sworn testimony about the dossier to a Senate Judiciary Committee was not consistent with the actual evidence in the dossier presented to the court. Comey also claimed he needed to brief Trump on the dossier because the media was going to publish its contents, when, in fact, it was only Comey’s staged meeting with Trump about the dossier that offered enough official sanction for the dossier to convince Buzzfeed finally to release it. Yet Comey on FBI time and machines wrote memos memorializing his confidential meetings with President Trump, and then leaked seven of them to the media in order to create enough fury to lead to the appointment of a special counsel. Despite Comey’s denials, four of the seven memos may well have contained some classified information and thus were probably illegally leaked by Comey, who succeeded in prompting the appointment of a special counsel—his longtime friend Robert Mueller. Yet Comey in his December 2018 congressional testimony, admitted under oath over 200 times that he did not know the answer to the questions asked or did not remember. Yet Comey’s testimony cannot be reconciled with sworn statements of his own deputy Andrew McCabe. Comey’s real message is not about a higher loyalty, but rather that when one does not tell the truth, one must apparently continue not to tell the truth—at least until the edifice of the aggregate untruth collapses by its own weight. Robert Mueller investigated a supposed crime of Trump-Russian collusion that early on in his investigation was discovered to hinge on the Christopher Steele dossier, which to this day has had none of its contents verified but lots of its assertions proved impossible or inaccurate. The mandate of the Mueller investigation was to discover which foreign nationals tried to interfere with the 2016 election, with the help of the Trump campaign, in order to warp its outcome. While the contents of the dossier that prompted his investigation were never substantiated (no sane person believes that Alexander Downer’s happenstance meeting with campaign volunteer George Papadopoulos prompted the entire collusion hoax), its author and sources were very much authenticated: foreign national and British subject Christopher Steele, and Russian anonymous sources whom Steele contacted and may have paid for the information that wound up in the dossier. In other words, the Mueller investigation failed to find any Trump foreign collusion, but knew that its birth was initiated by the efforts of a foreign agent to work with other foreign sources to alter the 2016 election: real collusion created the Mueller investigation that looked in vain for false collusion. If that seems surreal, then perhaps the real purpose of the investigation soon was to sweep up enough innuendo and dirt on the president and to publish such extraneous allegations as some sort of justification for finding no collusion. Robert Mueller had to assemble an independent and unbiased special counsel’s legal team, ostensibly to avoid the partisanship of an all-Republican Department of Justice hierarchy investigating the Republican Trump. 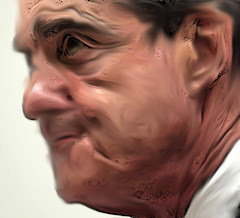 But Mueller, a Republican, appointed almost all non-Republican lawyers; among them many donors to Hillary Clinton’s 2016 campaign; among them lawyers of the former Obama Justice Department who had been briefed by Bruce Ohr on the contents of the Steele dossier at a time when Fusion GPS and members of Obama Administration were doing their best to seed the gossip mill among the media; and among them a few lawyers who variously had either represented the Clinton Foundation or former Clinton aides or former Obama Administration officials; and among them Lisa Page and Peter Strzok, who earlier had sent each other hundreds of text messages, many of them expressing not just loathing of the object of their investigation, but also vows to ensure that Trump would not become president. In the end, the “dream team” and “all stars” spent $34 million and 22 months, and wrote over 400 pages to confirm what was self-evident from the outset of this ill-starred inquest: Donald Trump did not “collude” with the Russians to defeat Hillary Clinton; Trump did not impede the nonsensical investigation of absurd charges; and the horde of lawyers who found no crimes were frustrated to the point of including anything in their report they could to embarrass Trump—except the proof of collusion for which they were tasked to find. The Mueller fiasco likely will end any talk of any special counsel investigation for a generation. Eventually, Brennan, Clapper, Comey, and McCabe, along with others, will feel what it is like to have a federal prosecutor leveraging them, but this time about real, not made-up, crimes. The liberal television media and their administrative state partisan “experts” likely will not gain back their former audiences, who were duped with two years of fabrications dressed up as “the walls are closing in” psychodramatic news. The hard Left, “Impeach Trump!” Democratic presidential field will no longer have an excuse to avoid explaining to the American people their weird agenda: a fundamental transformation of the country antithetical to the visions of the American Founders and likely on every issue opposed by a majority of Americans. And we the people will learn yet again that our best and brightest just may be among our worst and dumbest. 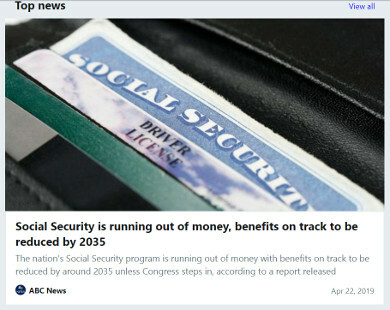 The entitlement crisis, which will impact America's most vulnerable before all others, is headed straight for us like the asteroid from Armageddon. Seven years, at most, is all we have. Remember the last time Republicans tried to address the looming entitlement crisis? Do you recall how the Democrats responded? Did they propose common-sense reforms? Raising the eligibility ages of recipients? Something, anything to attack the imminent crisis? Uhm, no. You got it. 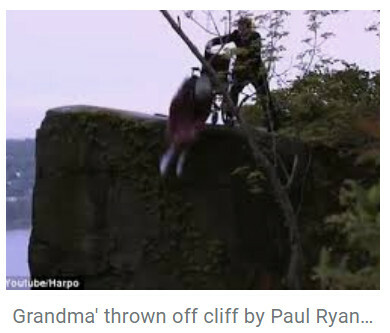 They aired nonstop commericals of Paul Ryan -- then a key Republican helping George W. Bush try to reform these programs -- pushing Granny off a cliff. Here's the bottom line. This crisis is entirely on the Democrats' hands. Not only did they invent this unconstitutional madness (which Article empowers the government to interfere in retirement services and health care? Asking for a friend), but they have literally nuked any any efforts to address the shortfalls. And, as you may have guessed, Democrats are now offering preferential treatment to illegal aliens over American citizens. But I'm sure they're all doing the jobs Americans won't do. Aside from the five critical questions I posed for Robert Mueller yesterday, there is a stunning omission in the Special Counsel report that simply must be highlighted. To put this omission into perspective, consider that Michael Cohen is mentioned in the report 877 times, Paul Manafort 624 times, Carter Page 31 times and Christopher Steele 24 times. "Steele reporting" (the Mueller term for the Russian "Dossier") is mentioned a scant nine times, yet it played -- according to former-FBI Deputy Director Andrew McCabe -- a central role in the initiation of FISA surveillance against the Trump campaign. [Fusion GPS founder Glenn] Simpson also testified that he had no knowledge of the meeting with Donald Trump Jr. and others until it was reported a year later. There is reason to doubt that account. She has publicly stated that she used talking points developed by Simpson for the Russian government in that discussion... In addition, Simpson has testified that he had dinner with Veselnitskaya the night before the meeting and the night after.Amazingly, the Special Counsel chose not to pursue any angle related to Fusion GPS, going so far as to keep the name of the firm out of the report altogether. 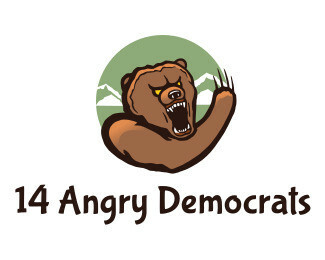 This convenience permitted Mueller and his "14 angry Democrats" to avoid mention of the ultimate source of funding for the "Dossier" -- the Hillary Clinton campaign and the Democrat National Committee -- as well as the name of the law firm (Perkins Coie) that acted as the cutout. The Conservative Treehouse asserts, and it's hard not to disagree, that Mueller may never testify before Congress. Because (as the invaluable Mark Levin has noted) his report is less a legal document than it is a 400-page New York Times op-ed. The Special Counsel's kid-glove treatment of Fusion GPS makes the partisanship of the report eminently obvious. For the ultimate Spygate Reference, please see The Timeline of Treason. Everyone knows it. Even Democrats. The Mueller Report is a joke. Its omissions are more glaring than its content. Here are five key elements curiously absent from Robert Mueller's Special Counsel Report. 1. Who leaked the Flynn-Kislyak conversation to the press? Authorized to pursue any criminal activity arising from his investigation, Mueller somehow overlooked the felony leak of the recorded conversation between Gen. Michael Flynn and Russian Ambassador Sergey Kislyak to The New York Times. Why? 2. Why were no Obama-era intel officials interviewed for a report supposedly about Russian interference in the election? From Susan Rice telling officials concerned about Russian cyberwarfare activities to "stand down" to John Brennan's bizarre interactions with "Five Eyes" allies, Mueller's report is utterly silent (Hat tip: Mark Levin). 3. Why were Russian Lawyer Veselnitskaya's meeting with Fusion GPS before and after the Trump Tower meeting omitted? According to Senate transcripts, Fusion GPS founder Glenn Simpson met with Russian lawyer Natalia Veselnitskaya both the day before and the day after her 6/9/16 meeting with Donald Trump, Jr. at Trump Tower. 4. Why no mention of bias and untoward behavior of investigators removed from the Special Counsel? At least four of Mueller's investigators (Peter Strzok, Lisa Page, Kevin Clinesmith, and Sally Moyer) were removed from the Special Counsel due to various untoward and/or possibly illegal activities. Mueller's report never explains why, nor how his team addressed chain of custody or spoliation. 5. How can it be that the "hacking" of the DNC server was never investigated? With all of the various Russian actors named by Mueller, somehow he and his investigators never got around to the original "hacking" of the DNC. According to James Comey, the Democrat National Committee never allowed federal investigators to physically access their compromised server. This is curious FBI deference to a political entity that one Donald J. Trump was never afforded. The ultimate #Spygate reference: Timeline of Treason. BREAKING: January 2017 emails show Clapper and Comey shared a good laugh at President Trump's expense when he asked them to publicly refute the bogus charges in the Steele dossier published shortly after they privately briefed him on them. QOTD: “Note... what isn’t in the report. It makes only passing, bland references to the genesis of so many of the accusations Mr. Mueller probed: the infamous dossier produced by opposition-research firm Fusion GPS and paid for by the Hillary Clinton campaign. How do you exonerate Mr. Page without delving into the scandalous Moscow deeds of which he was falsely accused? How do you narrate an entire section on the July 2016 Trump Tower meeting without noting that Ms. Veselnitskaya was working alongside Fusion? How do you detail every aspect of the Papadopoulos accusations while avoiding any detail of the curious and suspect ways that those accusations came back to the FBI via Australia’s Alexander Downer? Via The Last Refuge, we just stumbled upon this keeper from one of the President's lawyers. As an aside, a quick rip through legacy media sites demonstrates their utter cluelessness of -- or maybe complicity with -- Spygate. 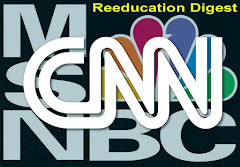 It turns out that MSNBC and CNN are still, at this very moment, greedily gaslighting their poor, deluded viewers. More on that later. ...The overarching principle of obstruction law is it's very, very hard to make an obstruction case when there is no proof there's an underlying crime. "Sh**'s gonna get real for these fools very, very soon. Related: The Timeline of Treason.